Jena had a last minute conflict so we were forced to enlist an emergency stunt Jena. Fortunately, Tim’s wife Pat was available. 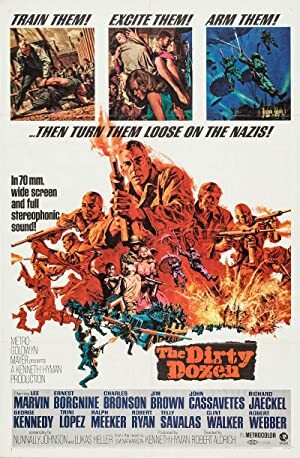 We had to make an alteration in movie (Pat has seen Man on Wire) so we pulled out The Dirty Dozen! This classic example of a mission movie involves a great cast trying to save the world from the Nazis. Because that’s what heroes do. They save the world from the Nazis. Our next movie will, we promise, be Man on Wire! 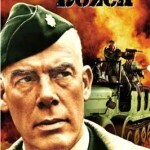 Plot: During World War II, a rebellious U.S. Army Major is assigned a dozen convicted murderers to train and lead them into a mass assassination mission of German officers. Jena was unable to make our recording at Pepito’s this episode so we pulled in a Stunt Jena. Joining us at the Parkway was Tim’s son Alex, who got to watch his first Noir on the big screen. 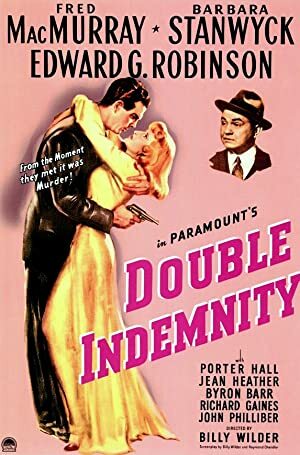 Our movie was the Noir classic Double Indemnity by Billy Wilder. People betrayed each other. People died. Insurance was sold. Yep. Insurance. Enjoy our conversation about a great film!